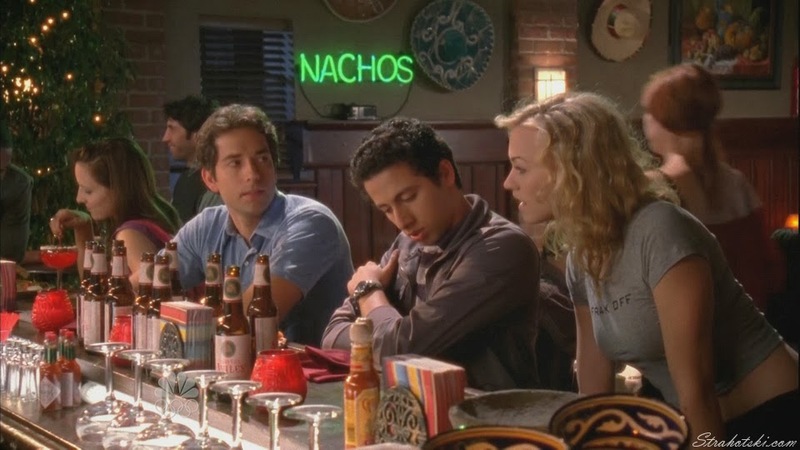 ...Set: Chuck 3x06 "Chuck versus the Nacho Sampler"
The main plot of the night was all about a guy named Manoosh (Fahim Anwar), who was somehow involved with the Ring. Chuck was tasked with figuring out what he was doing for them by getting close to him much like Sarah did back in the day. Turns out, Manoosh is very similar to how Chuck was back when we first met him - a bit of a geek, brilliant, lonely. When Chuck first tries to get close to him, he goes a little overboard and scares him away, but is able to fix it later with a set up meeting. Things go south, however, when the Ring comes looking for Manoosh. Sarah comes in and does a quickie seduction before tranqing Manoosh. The trio opens up Manoosh's secret briefcase to figure out what he's been working on (a weapon, we know at this point), and pull out a mysterious red cubey thing. They arrange for Chuck to hand back the briefcase to Manoosh sans cubey thing at the Buy More. He does so, but when Manoosh goes to leave, he's surrounded by Ring operatives. And now we find out the cubey thing was a red herring - what he was really working on were a pair of glasses that are a mobile Intersect! Manoosh takes out the operatives and heads off to Weap Con, an annual weapons conference that Casey attends every year (of course!). Our spy trio heads off to Dubai for the Weap Con, where Manoosh plans to sell his Intersect to the highest bidder. Things, of course, get a little hairy when the Ring guys show up. It turns into a showdown between the Ring guys and our guys, all with guns on Manoosh. Chuck's Intersect flashes come to the rescue, and at first he tells Manoosh he can go, because he feels bad that he might have to be burned (sent to some isolated bunker and never let out), much like he almost was. But, Chuck mans up and ultimately gives Manoosh over to the government to send away for good. ...which is also happening with Morgan. He finds out from Hannah, who has started working in the Nerd Herd at the Buy More, that Chuck went to Paris and never told him. But it's not just that, he's been acting weird for a while. 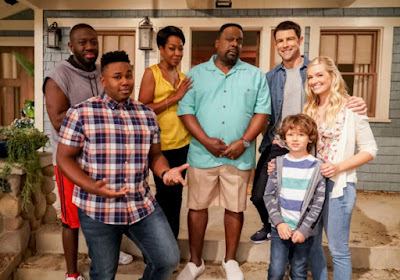 By the end, Morgan has told Jeff and Lester they can turn their stalking skills on Chuck (earlier they had been using them on Hannah), to find out what's going on. Morgan and Ellie vent their frustrations to each other and decide they're going to figure out what's going on. But what happens once everyone finds out? Chuck's growing up and becoming more ruthless as a spy, which Casey thinks is a good thing, but Sarah is not so sure. It's definitely an interesting development to watch, and one I'm glad they are exploring.